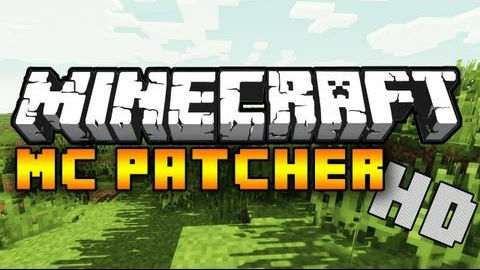 MCPatcher HD 1.11.2 ‘s main objective is to allow players to install many different features including Convert texture, Better Glass, Connected Textures. If you are having any problems with texture packs or resource packs installation, this amazing mod will become a useful solution to fix those problems. As what said above, besides adding custom item textures, this mod also comes with popular mods such as the Better Glass Mod which is extremely interesting. Better Glass will provide players with more transparency options for glass textures. There are also Convert texture and Connected Textures for players to take advantage all of the added features to run the game smoothly. 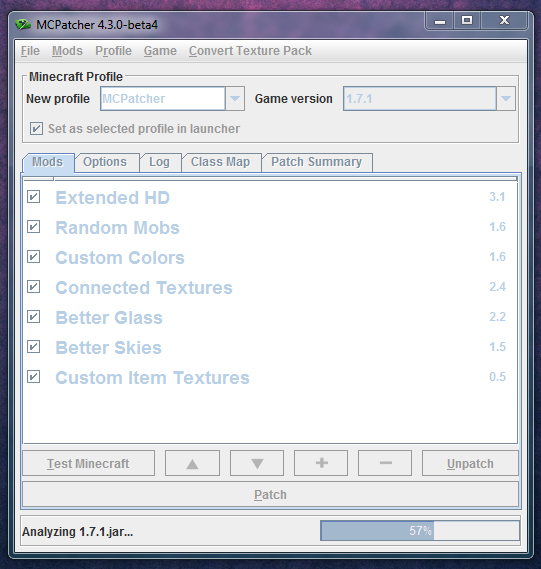 Moreover MCPatcher HD helps players with custom colors mod. Thanks to this mod you can change or customize many colors in the game including swamps, lighting, fonts and more. That’s not all, the mod appears with one prominent feature is ability to save and load mod profiles and switch between them easily. Being well known for the most up-to-date mod, MCPatcher always keep pace with every new versions of Minecraft so that players certainly have captivating experiences. Those things surely make MCPatcher HD be worth trying it out! Extended animation, mipmapping, and font support. Then click ‘Patch’ button, you don’t have to select any texture packs yet. Click Mods and Texture (Resource) Packs. Click open Texture (Resource) Packs folder. Copy all your Texture (Resource) Packs into that.